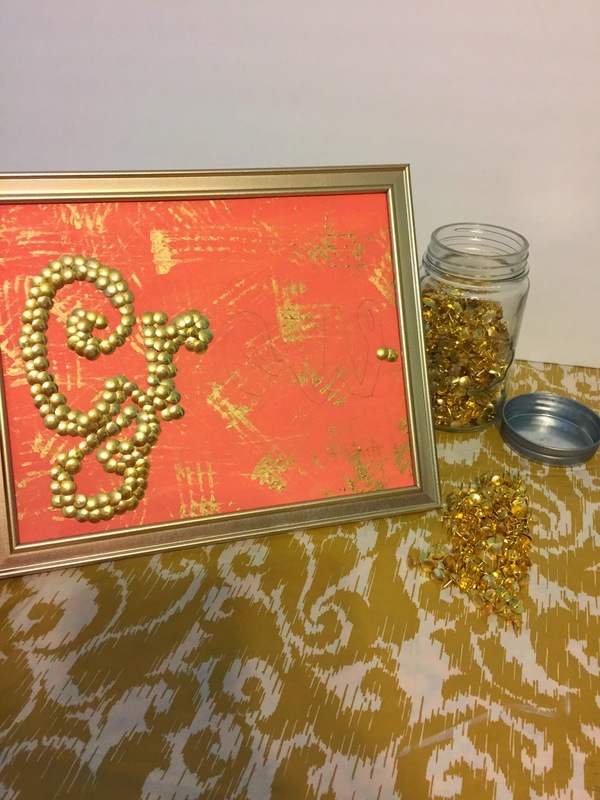 Now through April 6th, visit ILeaveHappy.com & vote for your favorite springtime craft (including the coral & gold DIY signs below!) for a chance to win one of ten $50 Dollar Tree giftcards! Voting is limited to once per day. This is a sponsored post and items used were provided courtesy of Dollar Tree. All thoughts & opinions are honest & my own. Don't you just love Spring? The weather's getting warmer, nature's perking up & everything gets a new start. Even us humans. Which is why I chose the words 'Grow' and 'Bloom' for these pretty Springtime displays. Because we could all use a little encouragement to be our best selves. 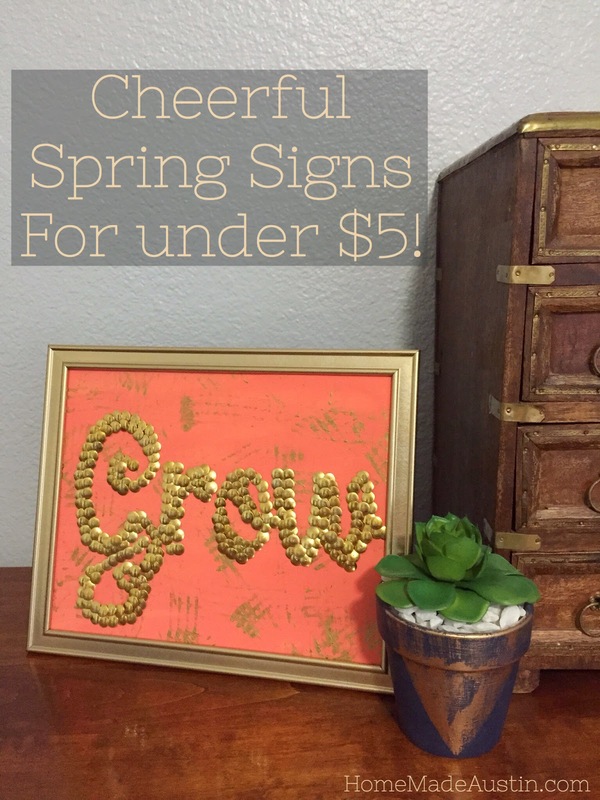 These sweet signs come together in a snap & add a positive & pretty touch to any area of your home. I got everything to make these at Dollar Tree! Dollar Tree is at the top of my list when seeking out craft finds & holiday decor. They always have a huge selection of goodies for making any celebration beautiful. And every thing is only a dollar! 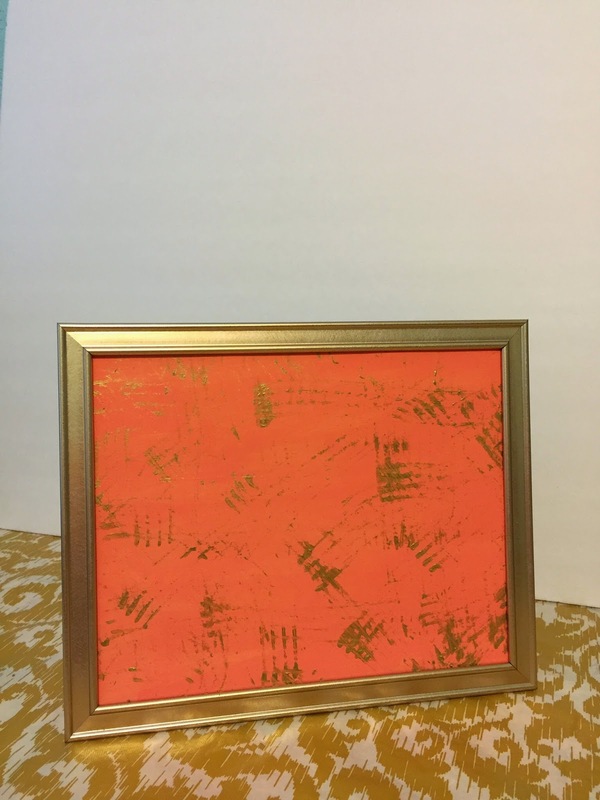 Start by opening your photo frame & carefully removing the inside liner paper & glass front. 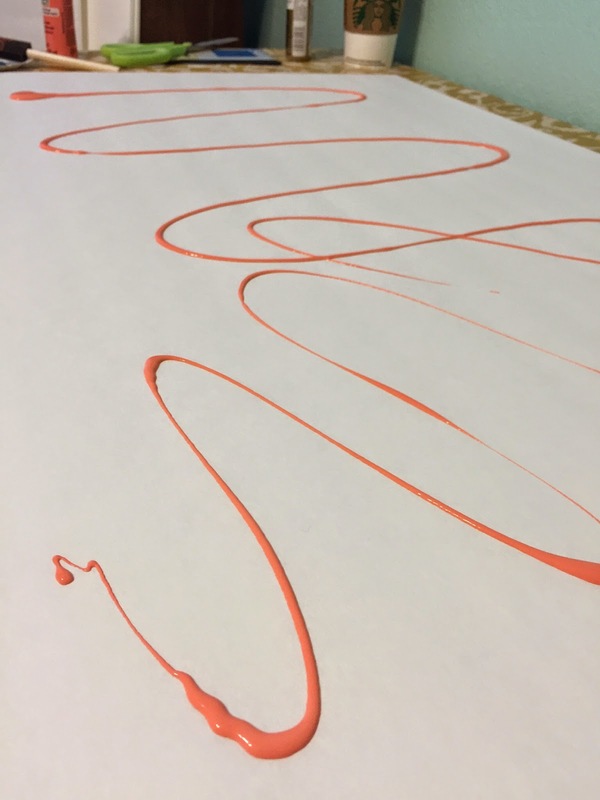 Using it as a guide, trace the dimensions on a corner of your foam board. Very carefully, cut your piece of foam along the traced lines, so you have an 8x10 piece. 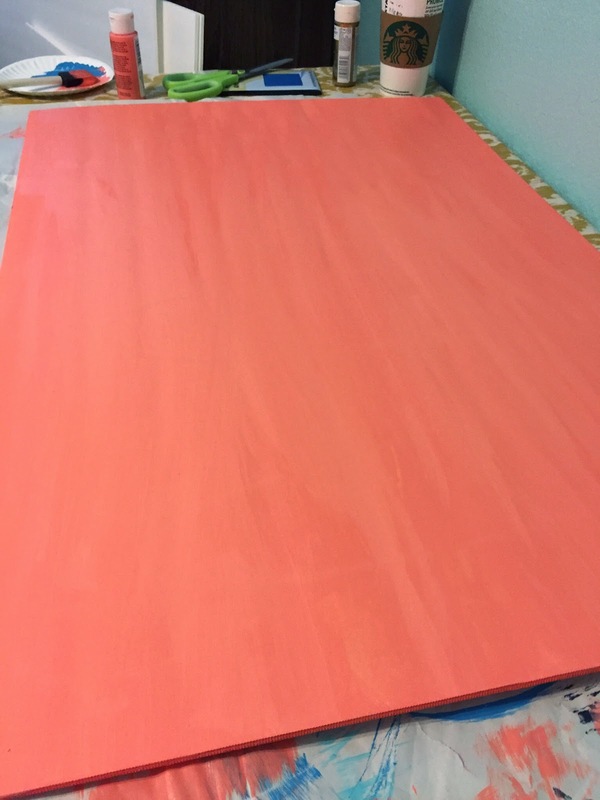 Paint the foam your desired color & let dry thoroughly. 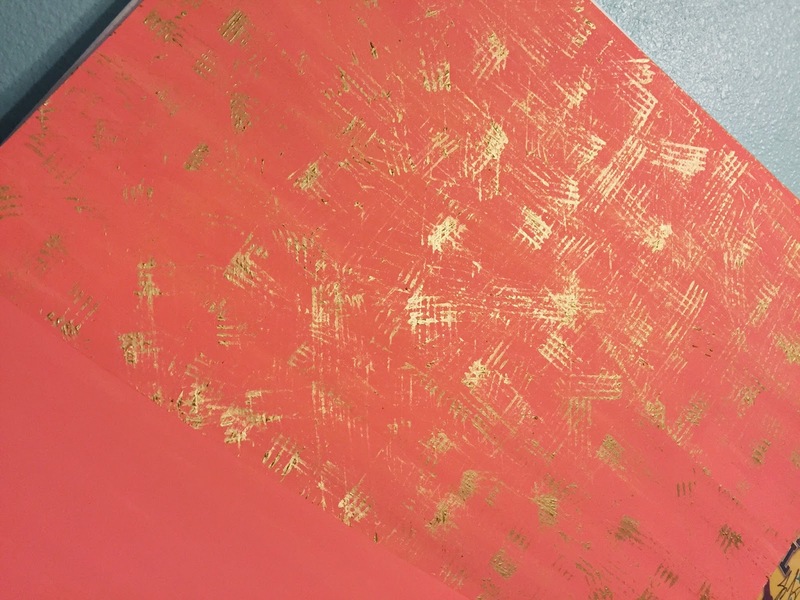 If desired, use a plastic form & gold metallic paint to create a 'scratched' pattern on the painted foam board. Dip the fork in the paint & randomly, create hashtags, scratches & random marks until you have reached your desired look. 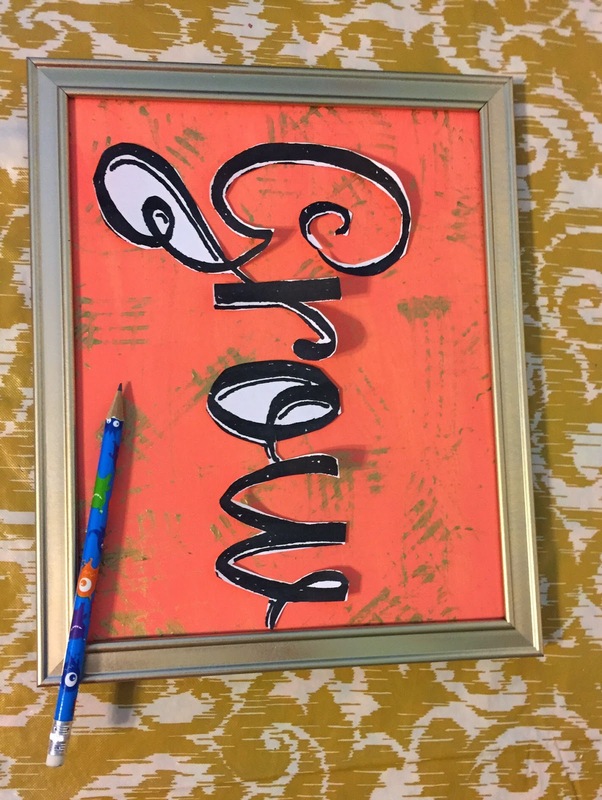 While your foam board is drying, create your lettering template on a computer using your favorite font. Be sure that you adjust your page settings so that your word fits on a landscape 8x10 area. Once you've created your word, print it & cut it out. Position the cut word on your foam board & trace around the edges, creating a template for your thumbtacks. 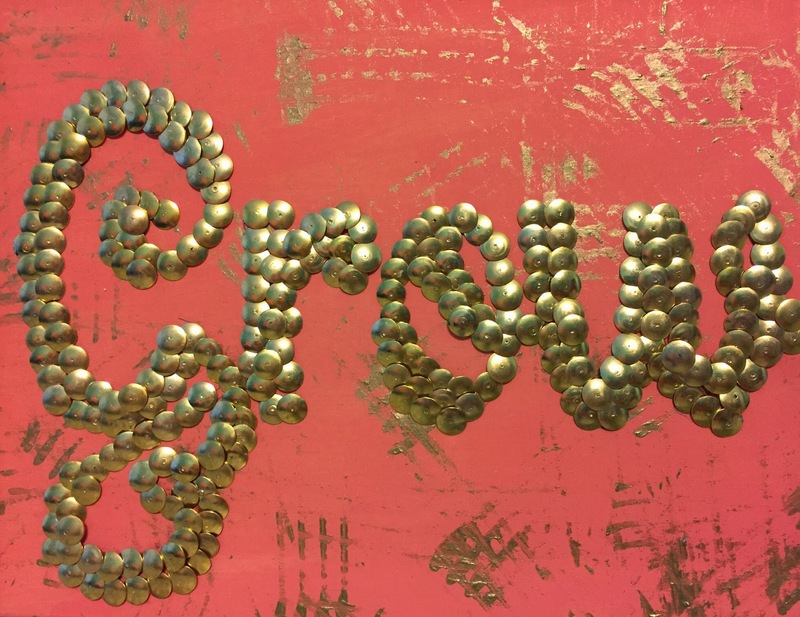 Taking extra care not to stick yourself, push in the tacks to create your letters. I used almost an entire box of 300 thumbs tacks per board. 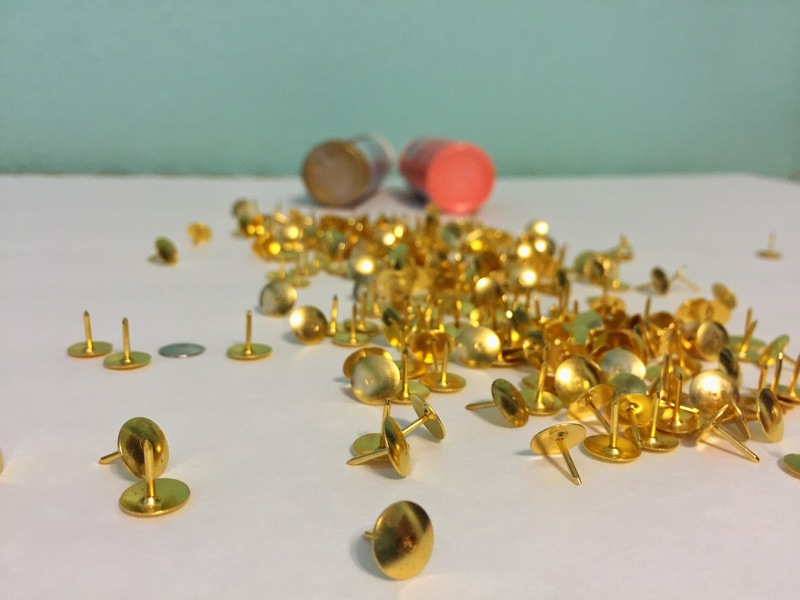 I layered & overlapped the tacks to achieve my desired look. Place the foam board inside your frame (make sure the glass has been removed!) & reattach the back, making sure you secure the backing tightly. 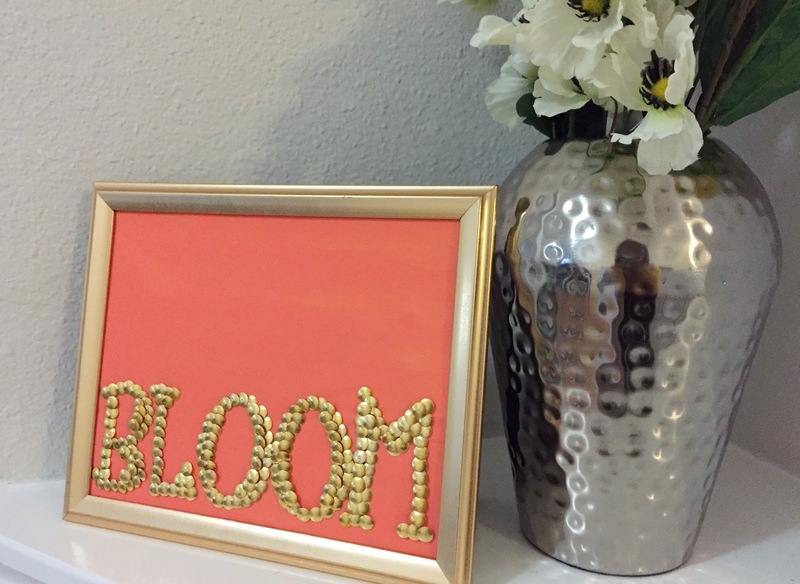 Now place in your favorite nook or hang on that wall that needs a bright boost! Now through April 6th, visit ILeaveHappy.com & vote for your favorite springtime craft (including my fun succulents below!) for a chance to win one of ten $50 Dollar Tree giftcards! Voting is limited to one time per day.